The Penglai Oilfield sits in Northeastern China’s Bohai Sea, China’s largest offshore oil and gas production base. In 1999, the Penglai-19-3 field was discovered through the joint efforts of ConocoPhillips China and CNOOC. Given complexities of the Bohai Sea, ConocoPhillips and CNOOC decided to employ a phased development approach to the project. 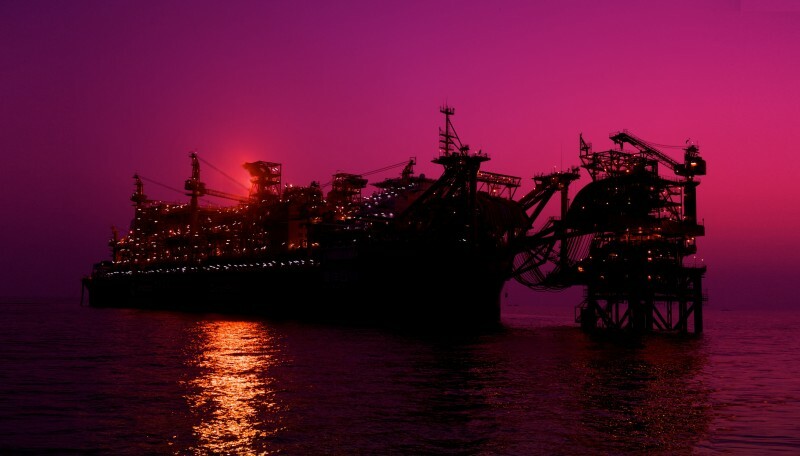 The first phase, the early oil production project, came on stream at the end of 2002, through Wellhead Platform A and the Ming Zhu Floating Production, Storage and Offloading (FPSO) vessel. Gathering requisite information about the reservoir, water-flood patterns and the drilling and oil processing techniques prepared us for a successful and safe project and gave the project partners the confidence to embark on full field development. First oil from Phase 2 was produced at WHP-C and delivered to Ming Zhu FPSO in July 2007. Six additional platforms and one of the world’s largest floating production vessels Peng Bo were constructed in Phase 2. At peak, the construction of the Phase 2 project involved over 8,000 workers in 12 locations in 5 countries, making it a world-class operation in China, both in terms of technological complexity and productivity. In 2014 ConocoPhillips entered a new era of collaboration, as operational control of the Bohai Penglai Field was transferred to CNOOC Limited per the terms of Production Sharing Contract (PSC) 20 years after the original Bohai PSC was signed. Later that month, the newest phase of field development began when Chairman and CEO Ryan Lance approved the first new platform to be installed since the Bohai Phase 2 project was completed in 2010. The Bohai Penglai asset is managed by CNOOC China Limited and ConocoPhillips China through a joint management committee (JMC). CNOOC China Limited holds 51 percent working interest, and ConocoPhillips holds the remaining 49 percent. The Peng Bo Operating Company was established within CNOOC’s Tianjin branch office to operate the Penglai Field, the largest within CNOOC ’s Bohai Sea portfolio. Twenty-two ConocoPhillips China personnel are directly involved with CNOOC in Tianjin, in the JMC fabrication yards, professional representative positions, and project management team and technical secondee roles. ConocoPhillips China’s Beijing office provides management oversight, multidisciplinary technical support and administrative capabilities. Bohai Phase 3 is expected to begin operations in the third quarter of 2018 and will be the largest new project initiated since the ConocoPhillips upstream-downstream split. The project includes three wellhead platforms, three drilling-completion-workover rigs, a central process platform, 186 new wells, 49 sidetracks and brownfield modifications. We are honored to help China develop such a sustainable world-class operation. It is reassuring that the project will continue to make contributions to secure energy supplies for the Chinese economy.